Dubai: Sir Maurice Flanagan, Executive Vice Chairman of Emirates Airline, retired on Sunday having been with the airline ever since it started, and received a touching tribute from Shaikh Ahmad Bin Saeed Al Maktoum, President of Dubai Civil Aviation and Chairman and Chief Executive of Emirates Airline and Group. “I salute you as a friend and colleague. On behalf of His Highness Shaikh Mohammad Bin Rashid Al Maktoum, Vice President and Prime Minister of the UAE and Ruler of Dubai, we thank you for the huge contribution you have made,” said Shaikh Ahmad. 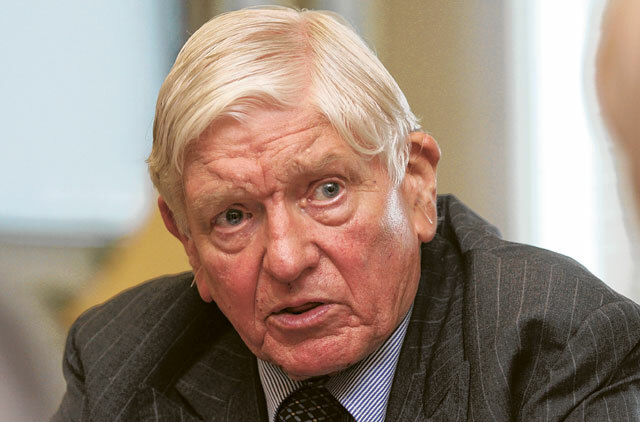 “On this sad occasion Sir Maurice retires from the company, but he will remain part of the Emirates family, and Dubai will always be his home”. Sir Maurice replied in Arabic, thanking Shaikh Ahmad for his leadership and kindness through the years. He then switched to English to tell the gathering the astonishing story of how Emirates Airline started. 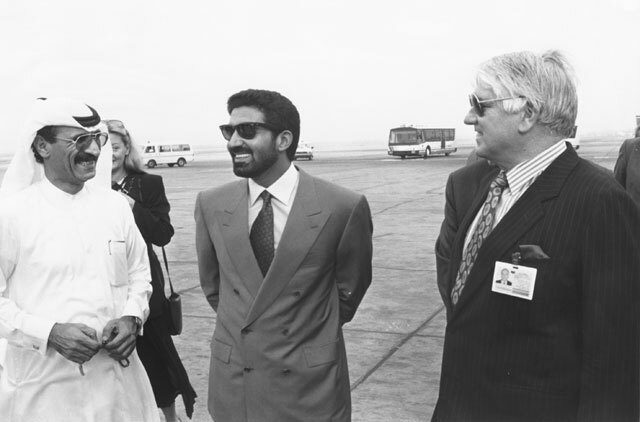 After working for British Overseas Airways corporation (BOAC) and British Airways (BA) for many years, Sir Maurice had came to Dubai in 1978 to manage DNATA, but he told yesterday’s lunch that he was surprised in 1985 when Shaikh Mohammad called him to a meeting and said that he wanted to start an airline. “I was asked how much money I would need, and being realistic I said $10 million although others were talking of $40 million or $50 million. Ten seemed like a nice safe Maktoum sort of number!” Sir Maurice recalled. “We launched with the support of His Highness, but he added that there was to be no protectionism, that Dubai would continue its Open Skies Policy, and there would be no subsidies,” he said. “We started with two aircraft leased from PIA, and after three of four profitable years we were in the position to buy our own planes. Now Emirates has overtaken Delta to become the second largest airline in the world measured by seat-miles, which still leaves US Air/American as the largest airline, although given that alliance’s inherent inefficiencies I am sure that Emirates will overtake them very soon,” sir Maurice said trenchantly. “The future outlook is marvellous, and growth is happening naturally from our lovely base in Dubai. Dubai Airport will peak at a maximum of 100 million passengers a year, which would limit Emirate’s growth, but the new Al Maktoum International with its capacity for another 120 million passengers will allow us to continue growing,” said Sir Maurice. All through the lunch, warm personal tributes were paid by Emirates staff, indicating to the other guests the close and family atmosphere that exists in the fast growing airline that has 62,000 staff speaking a wide variety of languages and coming from many nationalities. A portrait was presented painted by Vilraya Ramesh, a staff member of Emirates, and Neeraj Kumar, Senior VP, Internal Audit, Emirates Group, brought the hall to its feet clapping as he performed “For He’s a Jolly Good Fellow” on the mouth organ!